The (Fashion) World goes Op? For his final Fall/Winter 2015 collection at Pucci’s, Peter Dundas has been inspired by astrological signs. Among the 61 outfits, 3 graphical black and white silhouettes have caught my attention. Picture 1,2,3: silhouettes from the Zodiac Collection, Pucci, Fall/Winter 2015. They are directly influenced by Op Art (Optical Art), a form of abstract art based on optical illusions; mostly in black and white but also in primary colours. Geometric black and white patterns create the feeling of a warping movement and fool the eye of a viewer. Led by Bridget Riley and Victor Vasarely, it had a considerable impact in the sixties, a decade of social and economical changes marked by the beginning of mass consumption. It completely fitted to the hallucinogenic mood of the sixties and the space conquest aesthetic. The pinnacle of the movement’s success appeared in the mid-sixties. The term of Optical Art has been coined for the first time in 1964 in a Time Magazine article. It then achieved public recognition in 1965 with “The Responsive Eye” exhibition featured at the MOMA in New York, where 99 artists presented their work. As a consequence, Op Art went global. It began appearing in print graphics, fashion design, interior decoration. Fashion designers took their inspiration from Op and Pop art (two different movements) and experimented with abstract patterns (chequerboard, stripes, dots). Op Art had an unprecedented commercial success which may have lead to its decline. It had faded by the end of the sixties. Its adoption by a mass market (“trickle across theory”) has been made possible through the development of media and ready-to-wear collections. Picture 4: "Metagalaxy", Victor Vasarely, 1959-1961. Picture 5 : Tita Rossi dress shot by David Bailey, Vogue Italy, 1969. Picture 8: "Movement in squares", Bridget Riley, 1961. Picture 9: André Courrèges dress, 1965. Picture 10: Chrissie Shrimpton & Ossie Clark shot by David Bailey, 1965. Picture 11: "Fragment 3/11", Bridget Riley, 1965. Nowadays, it remains a dominant theme in fashion. Fashion designers, magazines, stylists frequently look to Op Art and bring back the movement into the fashion world. It’s still a relevant inspiration source in the 21st century fashion. Picture 12 : Op Art print shirt, Istante,1980’s. Picture 13: Op Art ensemble, Moschino, 1990’s. Picture 14: Op Art cyber print dress, Jean Paul Gaultier, 1995. Designers can completely embrace the Op Art trend or mix it with other influences. In one of his last performances, “Horn of Plenty”, Alexander Mc Queen showcased impressive silhouettes with Haute-Couture inspired evening gowns. His influences for this Fall/Winter 2009 collection were large: The Australian artist Leigh Bowery, My Fair Lady or the energy of the London club scene from the nineties. Vertical and horizontal stripes created an Op Art style pattern and accentuated the dramatic effect of the collection. Picture 15,16: silhouettes from the Fall/Winter 2009 collection, Alexander McQueen. More recently, Marc Jacobs explored optical effects with bi-colour outfits in his Spring/Summer 2013 collection. 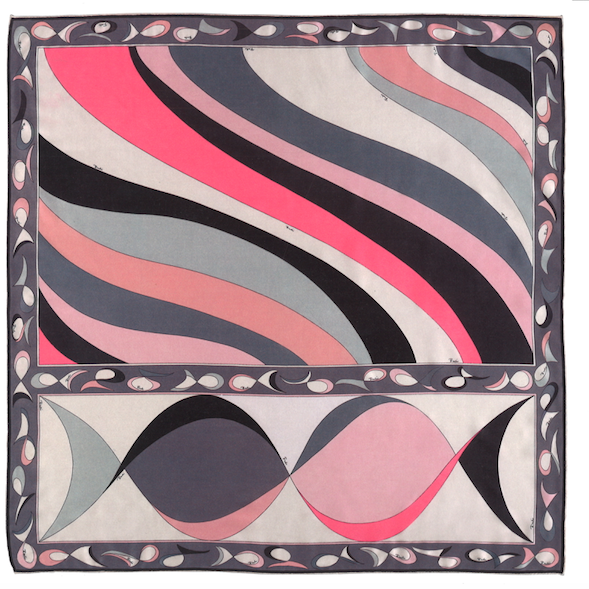 Geometric elements were everywhere and the homage to Bridget Riley and the sixties was clear. Behind the visual impact of these silhouettes, he played with the body architecture and reinterpreted Op Art with a modern tailoring. Picture 17, 18, 19, 20: Marc Jacobs Spring/Summer 2013 collection. In parallel, he partnered with the artist Daniel Buren for Louis Vuitton. The artist set the show with giant escalators and checkerboard runways. His work illustrates the synergy between Art and Fashion. Art inspires designers and is also part of a larger collaboration (scenography, campaign). 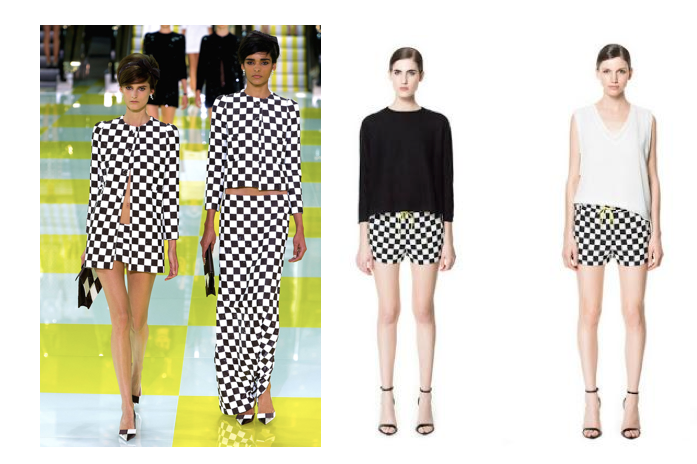 Picture 21: "mise en scene" & scenography by Daniel Buren, Spring/Summer 2013 show. Picture 22: Vuitton Spring/Summer 2013 campaign. Magazines and high-street brands are the next gatekeepers to translate Op Art into fashion editorials, graphic contents, and affordable collections. Picture 23: Vogue Italia, November 2000, photography by James Moore. Picture 24: W Magazine editorial, January 2013, photography by Roe Ethridge, style by Giovanna Battaglia. Picture 25: Elle Germany editorial, may 2011. Picture 26: Vogue Index, Optical Allusions, Vogue US, photography by Katarina Tsatsanis, style by Isabel Arnhold. Picture 27, 28: online editorial, Schon Magazine, 2015, photography by JUCO & style by JAK. Picture 29: 2 looks from the Spring/Summer 2013 Vuitton collection. Picture 30: 2 looks from the Spring/Summer 2013 Zara collection.